Up until March I was still having a Boxing Day every four weeks or so, not necessarily on the 26th, but usually around the end of the month. Then for reasons that I went into earlier in the week (see here) it didn’t seem right to take a day off from trying to find gainful employment. I couldn’t afford the time. At least that’s what I thought. In retrospect, that was probably a mistake – because those two months of solid stress (whilst simultaneously trying to give the appearance of being a laid back relaxed kinda guy) took it’s toll. At times I felt very ill indeed, including one incident when inexplicable chest pains made me wonder whether I might be having a heart attack. Still, it was enough to make me sit up and think, and this month I’ve had not one, but two Boxing Days – and boy howdy do I feel better for having them. There’s something about waking up with an entire blank day ahead of you – a day when you can do whatever you like, given the opportunities available – that can revitalise your spirit in a way that a planned day of recreation just can’t. It’s the spontaneity I think, or the freedom. Maybe both. And the less spontaneous a person you happen to be (or the less free), the more powerful that effect seems to be. So for instance, on Saturday I got up late, took a trip to the local petting zoo, then drove into London and had dinner in South West London with Felicity Kendall sitting at the next table, before coming home and opening a bottle of Champagne. I woke up on Sunday feeling lighter than I have done in a very long time. And Saturday was a day that I will remember for a very long time. How about you? Are you still having Boxing Days? Care to tell me what you’ve been getting up to? Feel free to drop me a line, here or on facebook, or post a comment below. For just TWO more days my SECOND novel, The Truth About This Charming Man, is only 99p for your kindle, smart-phone, tablet, or computer. If you like the way I write, chances are you’ll like this. Visit BuyTheBook.TODAY to find out more and buy the book… today. THE HEART, AND THE OPPORTUNITY. You can move Boxing Day, but you can’t cancel it. 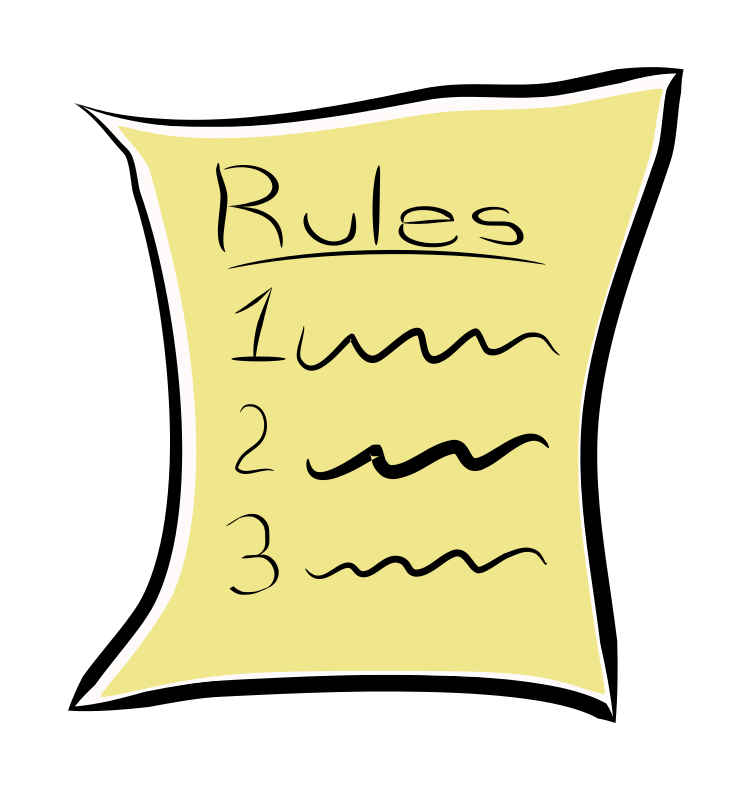 I’ll be discussing each of these rules in subsequent blog posts over the next couple of days (although if you can’t wait til then, you could always buy the book! Now’s there’s an idea!). Subscribe to this blog for free (details over on the right) if you’d like to see those posts in your email inbox. Everything you do on Boxing Day should be decided on the day, and determined by what you feel like doing, what’s possible, and what opportunities present themselves. Do not plan your Boxing Day in advance. Now you might say to me, ‘But I really need to finish decorating the spare room – taking a day to do that would be very useful.’ Well, fine. If you wake up on Boxing Day and you really feel like decorating the spare room – if that’s the one thing that would really make your day – then go for it. Knock yourself out. Personally I hate decorating with a passion but there have been Boxing Days when I’ve decided to ‘work’, when that’s the thing that I want to do more than any other choices that are available to me. The rule here is to not, under any circumstances, plan in advance to spend your Boxing Day up a ladder with a paint brush. If you know that spare room needs to be decorated then my advice to you is to set aside another day to do that, and keep Boxing Day separate. And if decorating the spare room is really that important, write it down on a piece of paper and come back to it when we discuss Goals later in this book. But then you might say to me that your wife / husband / significant other won’t stomach the idea of you taking a day off ‘to do nothing’. To which I would say, you’re not going to do ‘nothing’. You’re going to do lots. You’re just not going to plan it in advance, and you’re not going to let anyone else determine what you choose to do. Now having been married I appreciate that this might be challenging. So, one way to get buy-in from your significant other is to have a Boxing Day together or, better still, individual Boxing Days, albeit on the same day. This would avoid a day spent negotiating what the two of you are going to do – or, worse still, one partner dictating or submitting to the other – but I’ll leave that for you to decide. You might also say to me, ‘But I’d like to take the kids to this or that attraction and we need to book tickets in advance.’ Great. Jot that idea on a piece of paper and we’ll come back to it in a few pages time when we discuss ‘Now Lists’, but pre-planning a trip to an attraction isn’t a valid Boxing Day activity. Waking up on Boxing Day and saying, ‘Hey, let’s all go to the zoo’ – that’s fine. Deciding to do it the day before and booking your tickets online – that’s not allowed. And stop stamping your feet on the floor and pulling that face. How old are you? Five? These are the rules and they’re there for a reason. Finally, you might whine, ‘But I can’t afford all these days off! Mega Corp Ltd only gives me x number of vacation days per year. Blah blah blah.’ Oh, for goodness sake! Then allocate one Saturday or Sunday per month to be your Boxing Day! There’s no reason to start using up your holiday allocation. Having said all that, whilst you’re not allowed to plan what happens on your Boxing Day, it’s still necessary to do some preparation so that Boxing Day actually takes place! Let’s not get Planning Boxing Day (a big ‘no-no’) confused with Planning to have a Boxing Day (a big ‘yes-yes’). What’s the best day to have my Boxing Day? Should I arrange child care? Shall I prepare some microwaveable meals in advance for the family? Do I need to warn anyone that I’m ‘out for the day’? You might even need to strike a deal with yourself that whatever you decide to do on Boxing Day – and remember, you can’t decide that until the day – will involve ‘leaving the house’, so as to avoid that temptation to answer the call to Motherly Duty. This might seem to run contrary to rule number 1, but the only element of Boxing Day that should be pre-planned is deciding when your Boxing Day is going to take place. If, like me, you use an electronic diary then I recommend you create a monthly Boxing Day appointment. Make it the 26th of each month if you like, especially if you intend to treat the official Boxing Day (the 26th of December) as a Boxing Day. In reality, it doesn’t matter when your Boxing Day takes place, so long as it’s regular and booked in advance. You might have thought that given the spontaneous nature of Boxing Day activities it would make sense for Boxing Day itself to happen spontaneously – wait until you wake up one morning and if you’re in a Boxing Day mood, declare that day Boxing Day. 1. The rest of your life won’t work, as the stuff that really needs to get done sits in the corner and gathers dust. Worse still, when you eventually get cut off by the electricity board you’ll blame me and my stupid Boxing Day idea, and that simply won’t do. 2. Boxing Day will lose its potency. Yes, whilst you’re sitting there in the dark, with the bailiffs knocking at the door, you’ll cast your mind back to the day before, and the day before that, and the day before that, and realise that Boxing Day just ain’t what it used to be – a week or so ago. The only way to safeguard against these two scenarios is to book Boxing Day in advance, and make an appointment with yourself. 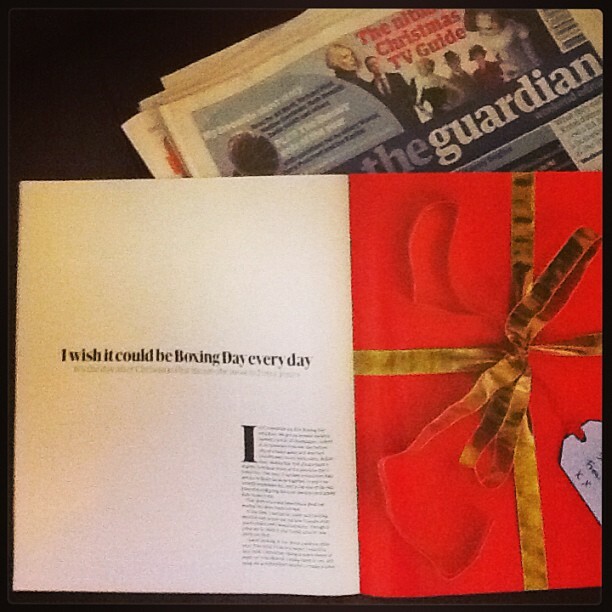 But, you might be saying, what if I desperately need a Boxing Day? Or what if I’m due to have a Boxing Day but I’m not in the mood, or it’s just not convenient? Well, that’s why you need Rule Number 3. It’s a fact of life that no matter how much you try and schedule your time, ‘stuff happens’. So if today was supposed to be a Boxing Day but you’ve just had an echoey conversation with your best friend who rang you from an underground sewer after a freak manhole cover incident, open your diary (planner/calendar/wall chart …), reschedule Boxing Day to another date, then throw a length of rope over your shoulder, jump in your car and go rescue your friend. Equally, should you wake up desperately in need of a Boxing Day, open your diary (planner/calendar/wall chart …) and see if you can swap whatever you had planned for today with your next scheduled Boxing Day. Believe me, this strategy works well. I’ve been known to postpone Boxing Days several weeks when Life is throwing everything it can in my direction, and similarly I’ve been known to have two Boxing Days within a few days of each other if I’ve deemed it necessary. This rule allows me to respond to the pushes and pulls of daily life whilst still getting an average of 12 Boxing Days a year. I’ve set off in the car forCambridgeor other far flung places I can get to, and back, in a day.